Republic National Distributing Co. will be presenting samples and sales of Irish and Japanese whiskies for the first time at the George Washington Whiskey Rebellion Fest, brought to you by the Community Trust Foundation. The Fest is scheduled for Friday June 8, 6 to 10 pm, in the Allegany Museum, 3 Pershing St Cumberland MD. The Irish whiskey is Kilbeggan Single Grain Irish Whiskey. The Kilbeggan Distilling Company is the oldest licensed distillery of its kind in Ireland, in operation since 1757. The distillery released Kilbeggan Single Grain in 2017. It’s distilled twice, instead of thrice (like many Irish whiskies). It is then aged in former bourbon casks for a minimum of four years. 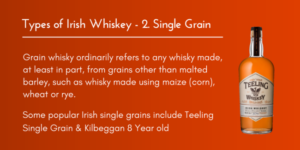 94 percent of the mash bill for Kilbeggan Single Grain is made of corn, and the other six percent is malted barley. The bourbon aging adds a surprisingly complexity. Republic National Distributing Co will also be presenting whisky without an ‘e’- Suntory Whisky Toki. In Japanese, the word “toki” represents the connection of time, and embodies how tradition meets innovation to move forward. 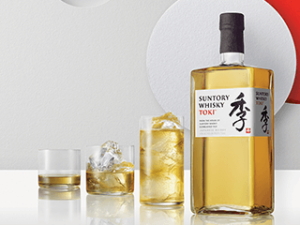 Suntory Whisky Toki is a blended Japanese whisky with a subtle sweet and spicy finish. It highlights Hakushu malt, aged in American oak, and balances that with grain whisky from Chita distillery. The blend is completed by adding single malts from Yamazaki that have aged in American and Spanish oak. Kilbeggan and Toki will share a table with Jim Beam® Devil’s Cut, Jim Beam® Double Oak, and Jim Beam Black®. Whiskies and other spirits, from small batch distillers from Maryland and Pennsylvania will also be available. As well, the Whiskey Rebellion Fest will feature craft beer tastings, alongside the whiskey, rum, vodka and brandy samples. ← Taste the #1 rated bourbon in the world at the Whiskey Rebellion Fest!